Long necklace with animalier pearls and rhinestones. Choker with ribbon and flower pendant in polka dot fabric. The pendant is embellished with pearls central. 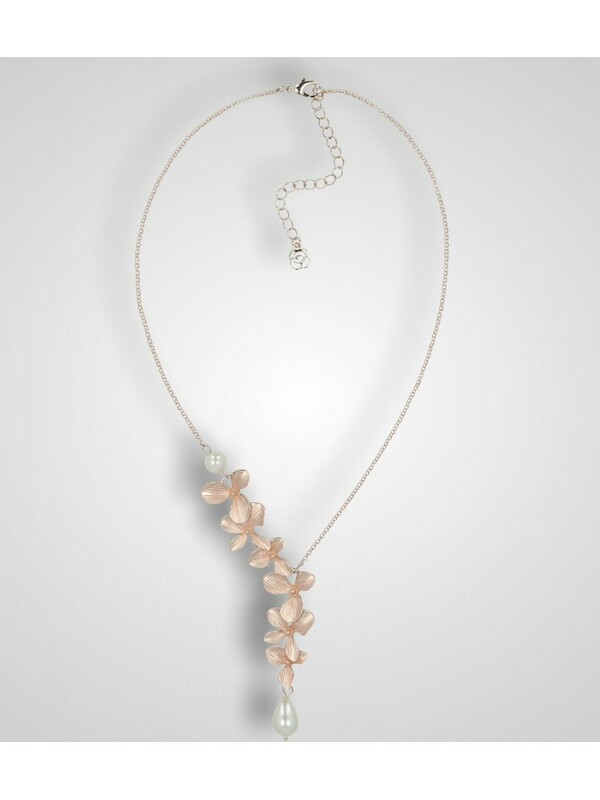 Long necklace with flower pendant in polka dot fabric embellished with central pearls and white-black stones placed along the chain. 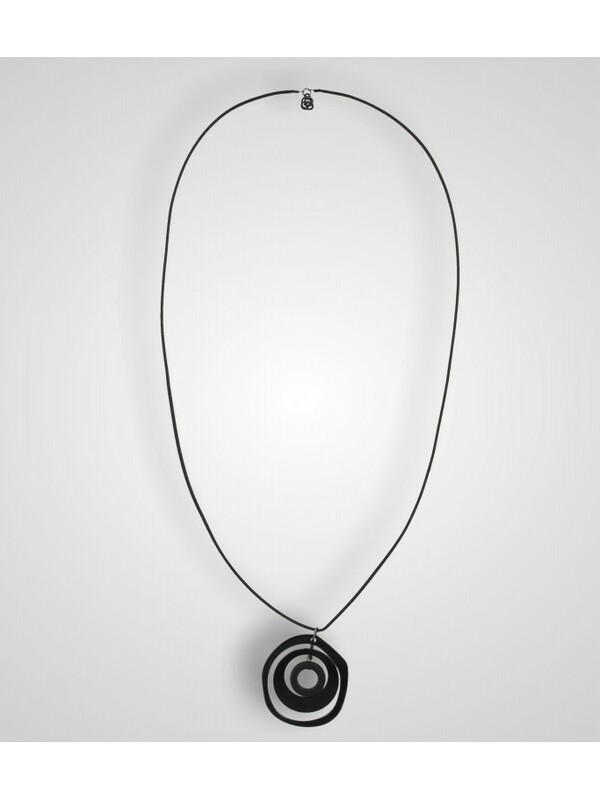 Long necklace with pendant formed by circular elements in black satin metal. Short necklace with butterflies pendant and enamelled elements. 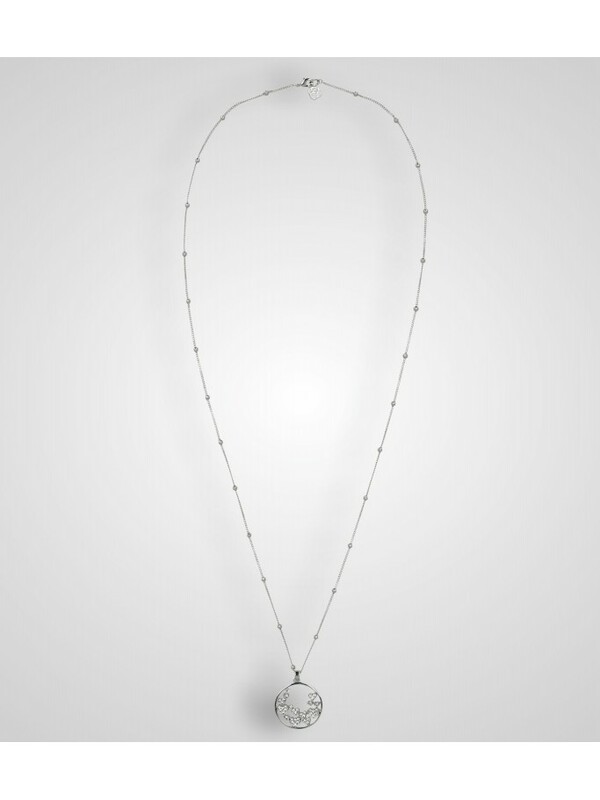 Short necklace with multi-hearts pendant in polished metal and hammered enamelled metal. Short necklace with hearts pendant with crystal rhinestones. 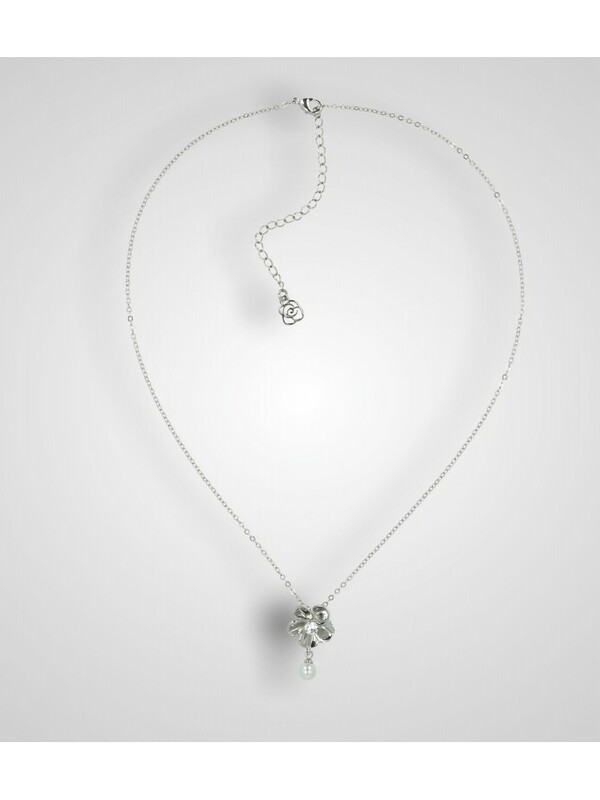 Long necklace with round pendant, filled with little hearts and rhinestones. Necklace with spiral pendant with rhinestones and pearl end. Necklace with corals shape central component and pearls. 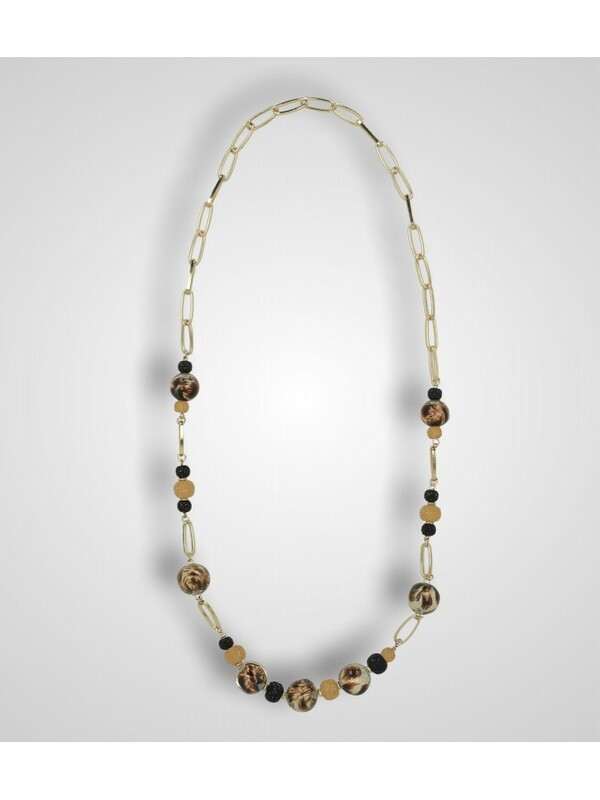 3-tones necklace with oval components and metal element with beads. 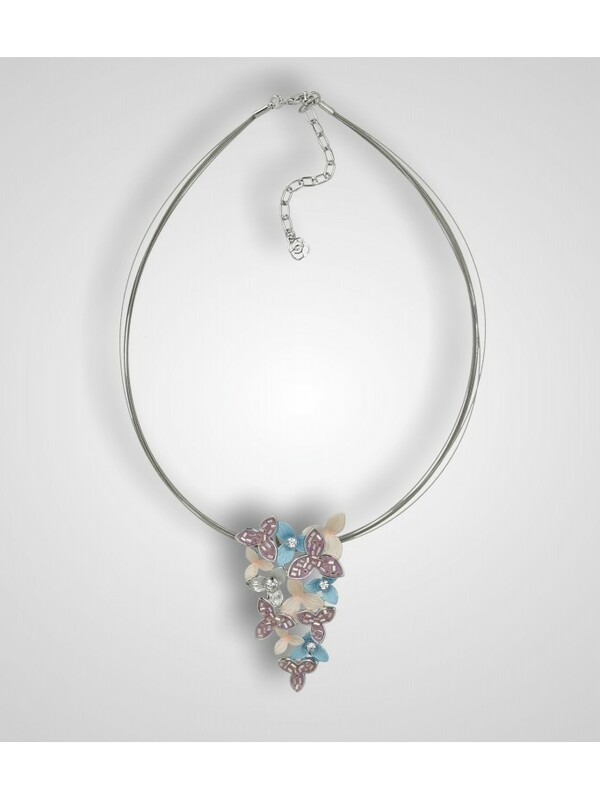 5 wires necklace with enamel flowers pendant in pastel colors with rhinestones. Metal necklace with micro beads chain and enamel exotic leaf pendant. Long necklace with enamel and rhinestones butterflies and multi-faceted stones. 3 lengths necklace with rhinestones pendant, heart-shaped pendant and enamel striped heart. Jersey jewelry scarf with floral print and colored wooden charms. 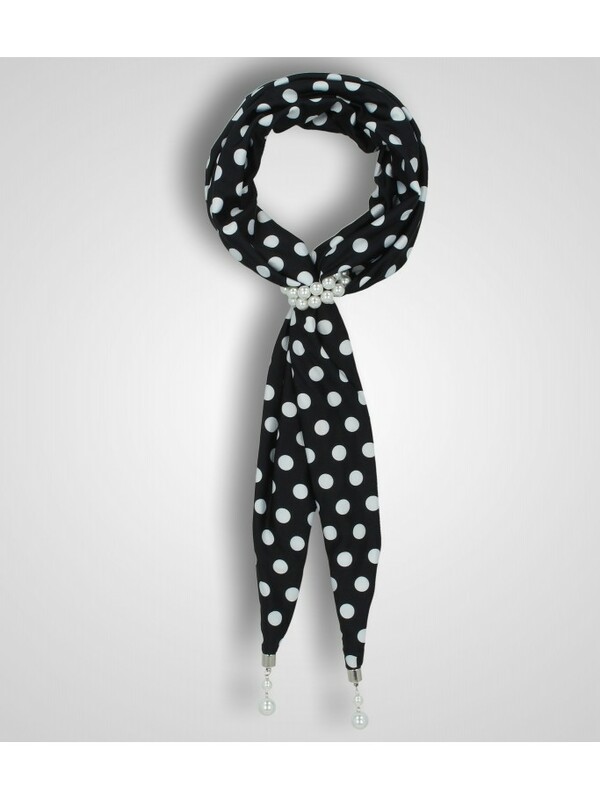 Jersey jewelry scarf with polka dots print. Middle ring and charms with white pearls. 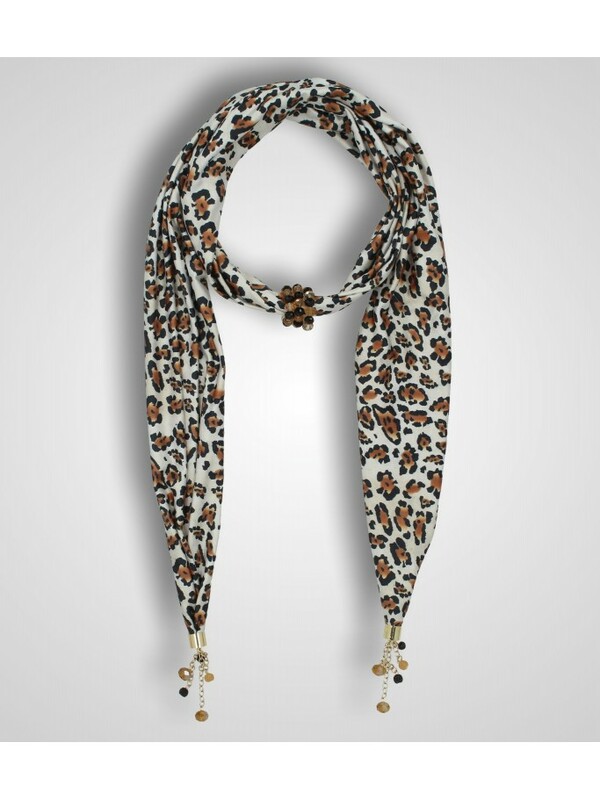 Jersey jewelry scarf with spotted print. Decorations with small pearls and charms. 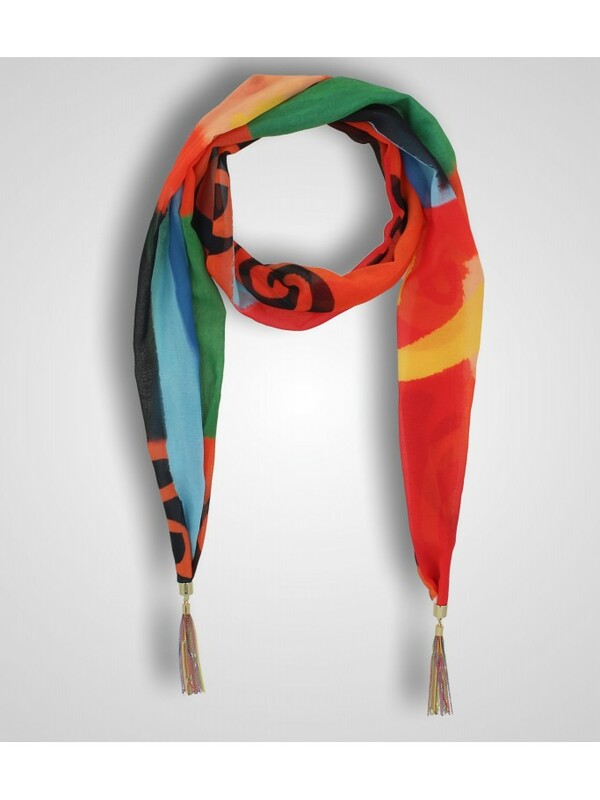 Printed chiffon jewelry scarf with multicolor fringe on endal parts. Printed jersey jewelry scarf with sliding gold ring hammered effect and resin coral pendants blue color. 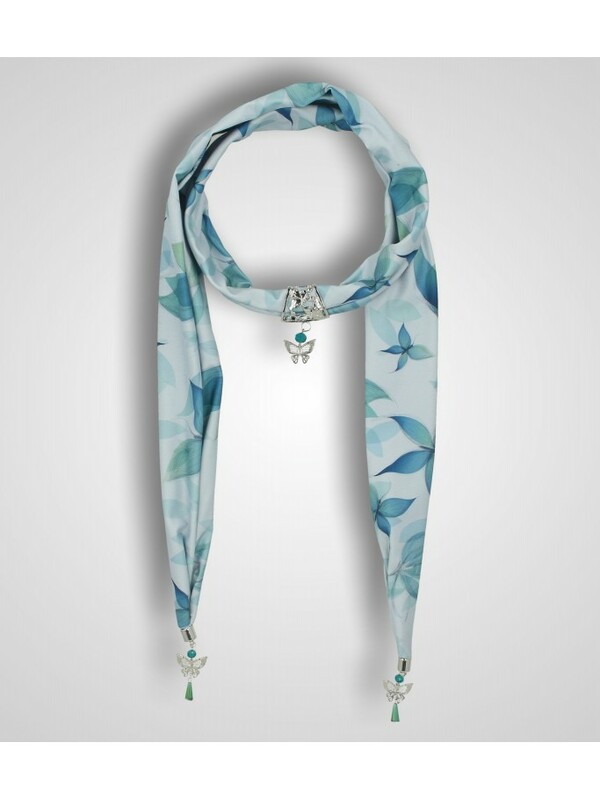 Printed jersey jewelry scarf with sliding ring silver color and butterfly pendants. 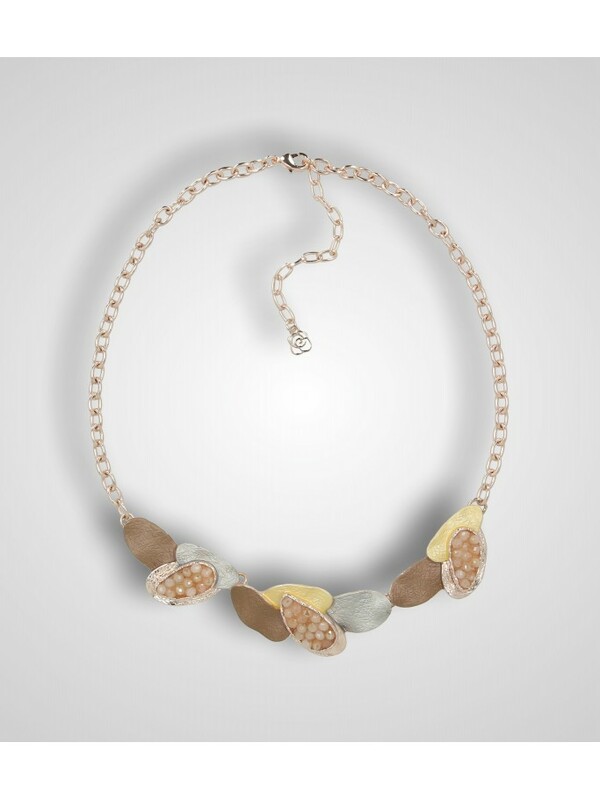 Metal necklace with various material and size pearls. 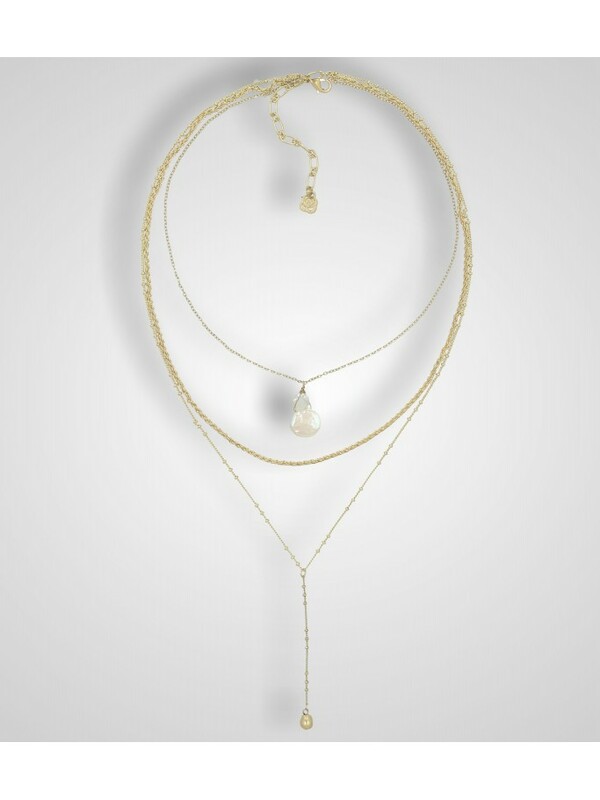 Metal necklace with flat chain; acetate pendant with pearl effect embedding.